Must-know information on over 160 dog breeds! Read descriptions and view photos of over 160 dog breeds. Find out about the temperament, behavior, and characteristics of each breed and discover what the breed is like to live with. View lists of breeds with common characteristics. 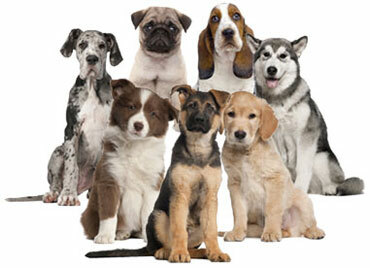 And use our dog breed selector to sort through all 160+ dog breeds to find the one that�s perfect for you. When large dogs eliminate, they eliminate a lot more than small dogs. More goes in and more comes out of large breeds. Which is something to keep in mind if your dog will live inside - especially if you live in a high rise apartment and he will have to be litter box trained (there's always going to be more to clean up). All dogs should get as much exercise as possible. A daily walk is sufficient for most breeds. But most small dog breeds, for example Toy dogs such as Pugs, Maltese or Yorkshire Terriers, will get the majority of their required exercise needs just be walking, running and playing around indoors. 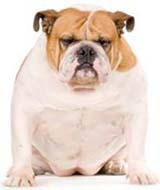 Some breeds have so much energy and are so active that if you don't give them a sufficient workout every day - a long walk and hard run - their pent up energy will quite likely manifest itself in destructive behavior. If you don't have time to exercise your dog daily with a brisk walk and lots of running choose a breed that doesn't have high exercise requirements. All of the breeds who require high amounts of exercise make terrific jogging, hiking, and ridding companions. So if you want your dog to accompany you on long runs choose one of these highly active breeds built for endurance and as much exercise as you can throw at them - they'll love you for it (and a tired dog isn't destructive). Most all dogs will get along well with children if they are raised with them. However, some breeds have a protective streak in them and may become aggressive with children who get to close at meal time (although this should not be tolerated), or aggressive with children they've never met. These breeds will likely see the children as being underneath themselves in the "pack order" and may try to dominate them. Some dogs will patiently put up with little children who pull their ears or accidentally poke them in the eyes, while others will not and map nip or bite back in defense. Dogs with short coats require virtually no grooming, just a brush and wipe down every so often. Pet dogs with long coats require either regular clipping every eight weeks or so (where their coats are clipped short) or there long coats need to be brushed practically every day. Show dogs, or dogs with long coats, require daily brushing or else there coat will become matted and tangled. Not only can it hurt your dog if he has tangled and matted hair, but it will also become dirty and he will look shaggy and ugly if you don't regularly brush his coat. So keep in mind that if you choose a breed with a long coat you will either need to get it clipped regularly if you want to avoid brushing it so much, or if you choose to keep it long or even medium length you will have to brush it every day. If you don't like loose dog hair and don't want to be vacuuming the house every day, then don't buy a high shedding breed. If you own a high shedding dog you will find hair everywhere! Including on your clothes, on your furniture, in your bed, and even in your food. Additionally dogs that have a high shedding rate need to be brushed more often to brush out the dead hair. It isn't the dog hair that causes allergies - it's the dander! Dogs continually shed dander, or dead microscopic skin flakes, from their bodies. When this dander is airborne it can be inhaled and this is what causes an allergic reaction in some people (itchy eyes, runny nose, sneezing, wheezing, etc). If you have allergies to dander, and still want a pet dog, then you should consider one of the low shedding dog breeds because they produce less dander. Some of these breeds include the Poodle, Maltese, Bichon Frise, Bedlington Terrier and Chinese Crested just to name a few. 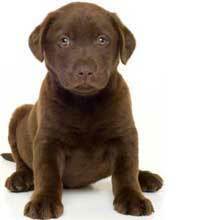 Choose a breed which is rated low for shedding if you have allergies. To be on the safe side, check the breed you are thinking of owning doesn't cause you to have an allergic reaction by spending several hours around a dog of that breed before you purchase one! Any responsible breeder will let you spend time around the breed to let you check if the breed is okay for your allergies. Every breed can be trained to learn almost every command. However, some breeds learn a lot faster than others - making them a lot easier to train. These highly intelligent breeds pick up a command after only about five or six repetitions, they more often respond on the first time you give the command, and they remember commands even if they aren't practiced often. They also learn commands even when the trainer is inexperienced and makes mistakes. So if you don't have a lot of the time to spend dog training, or you're the impatient type who gets frustrated easily, choose a breed which has a high ease of training rating. Dogs can either serve as watchdogs or guard dogs or both. A watchdog's job is to bark and raise the alarm when a stranger enters your property. Their job is to warn you. Many small dog breeds make great watch dogs. Whereas a guard dog's job is to look intimidating and protect his family by keeping intruders out. Some breeds are great guard dogs but not great watchdogs. And vice versa. And a few breeds are both great guard dogs and great watchdogs. These are some of the factors to consider when making a decision about which breed is right for you. With these points in mind, browse through the dog breed profiles and discover which dog will be a suitable match for you.